Simplicity's signature Free Floating™ Mower Deck allows the deck to follow the contours of your lawn giving a scalp-free cut. The full-width rear rollers provide a smooth finish allowing you to create ballpark lawn stripes. 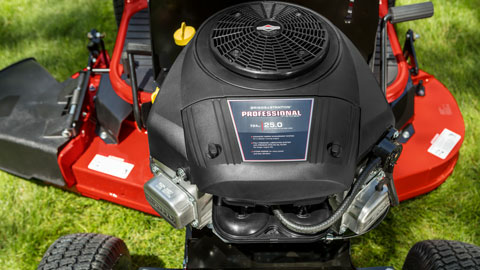 Designed to deliver world-class endurance and power, the Briggs & Stratton Professional Series™ Engine comes fully featured. Enhanced power, easy starting, smooth and quiet operation, and professional results are just a few of them. 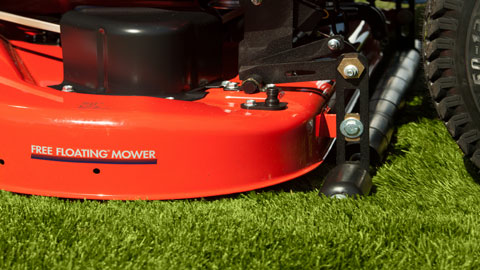 Easily adjust the cutting height of the mower deck with the simple touch of a switch. The electric height-of-cut lets you choose from 1.5 to 4-inches and the easy-to-read indicator shows the height selected. 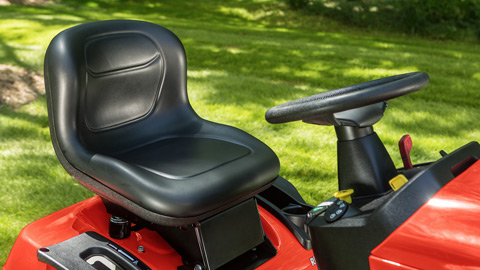 Select models feature a new and improved 15” contoured seat that provides added comfort and stability. Updated hood styling for a modern look and improved heat management. 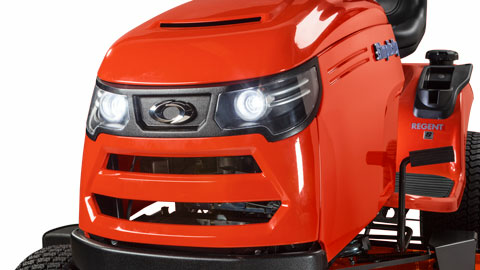 The upgraded and modern LED headlights provide reliable light for when your working past daylight.